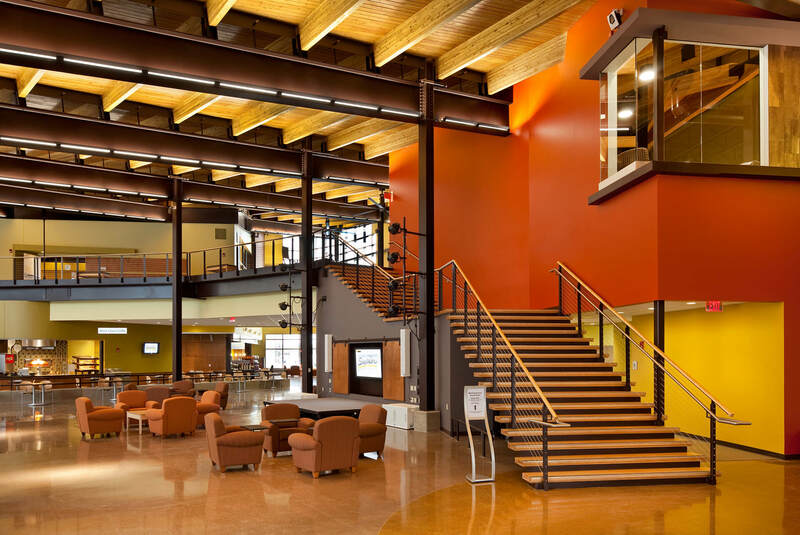 The Yellowjacket Student Union is a new, 84,600 square foot state-of-the-art student center to replace an outdated student union. The $24.7 million building includes campus dining services, meeting and event spaces, retail space, a student involvement complex, student lounge areas, a computer lab suite, and administrative offices. 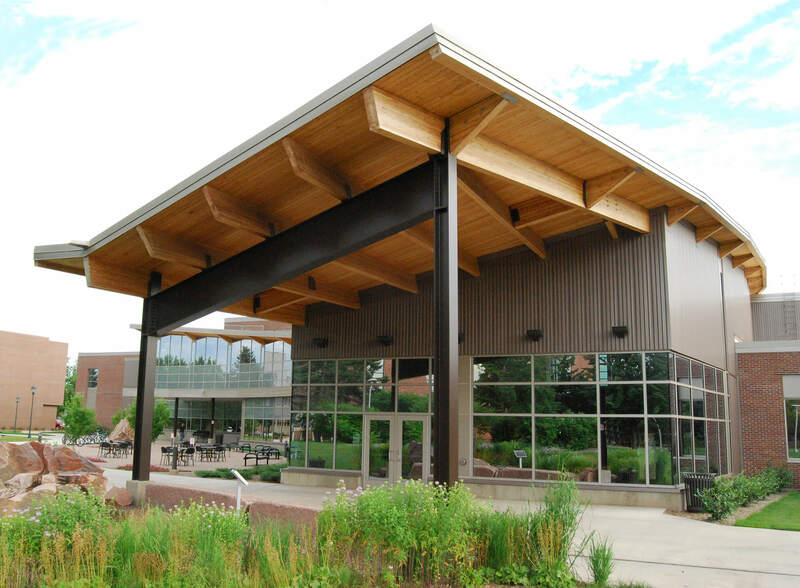 The new building features glue-laminated wood beams that support a 17,000 square foot vegetated roof over the curved roofline of the main activities space. 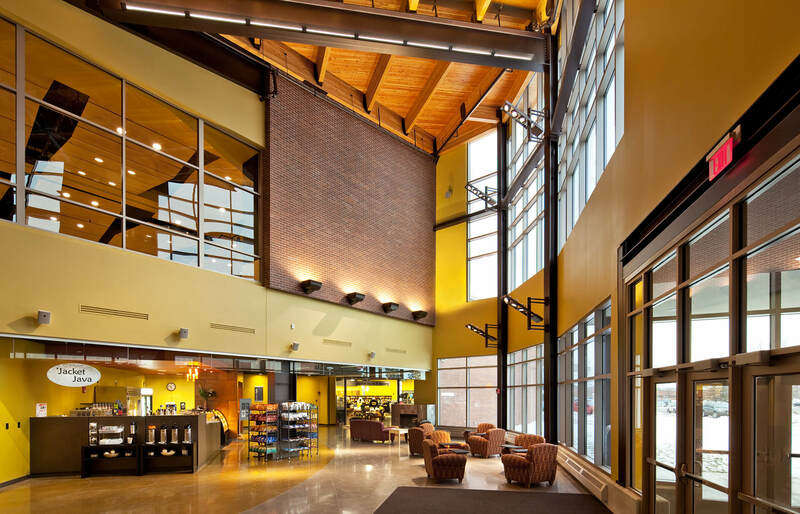 The Yellowjacket Student Union is noted for its striking appearance, environmentally conscious design and construction, and user participation in the creative and financial process. Perhaps most important, this new building has helped rejuvenate a once stagnant campus into an exciting new learning environment. 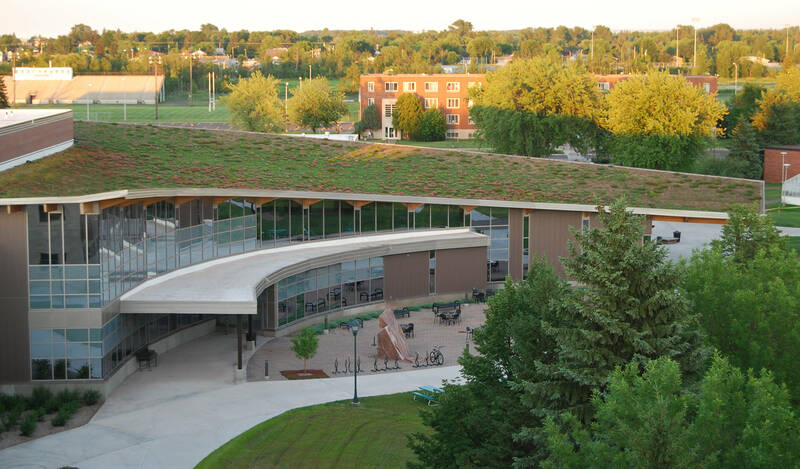 The project was awarded a LEED Silver rating by the U.S. Green Building Council. 2011 Build Wisconsin award winner by the Associated General Contractors. 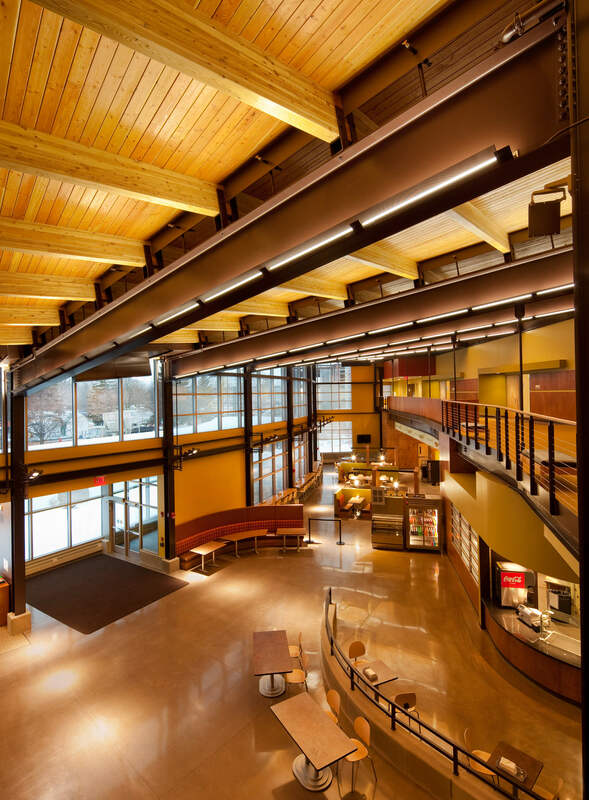 2010 award winner for Excellence in Architectural Design by the State of Wisconsin. 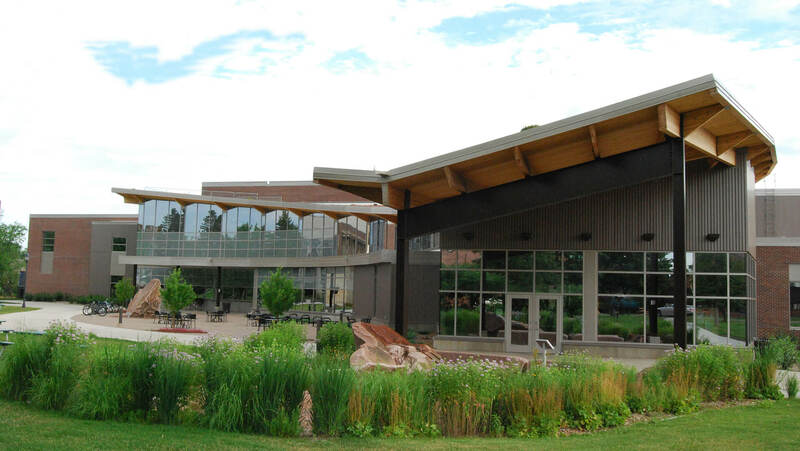 2009 award winner for Excellence in Sustainable Design by the State of Wisconsin. Honored as a Top Project of 2010 by the Daily Reporter.